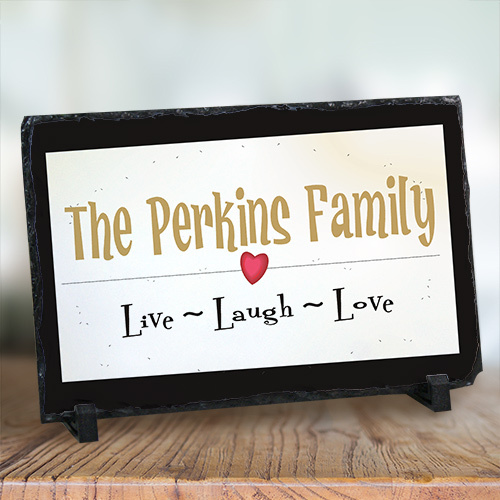 Make your home a place where laughter and love are the top qualities when you display this beautiful piece of personalized decor in your home. This would make a great gift for family and friends for just about any occasion, too. This rectangle Stone Keepsake measures 7 ½” x 11 ½” and is approx. 3/8” thick. 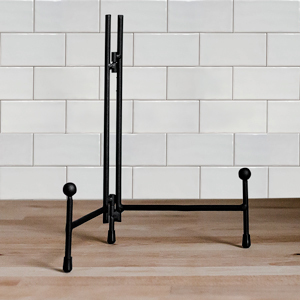 It includes 2 black “feet” to easily display on any table top. The keepsake is made of actual stone and features chipped edges all the way around for a rough, natural slate look. Free personalization of any one line custom message is included. Additional Details Brighten up your living space and turn your house into a home when you display this personalized gift in your foyer or your favorite room. It will definitely be a huge hit among your family and friends. Our Live, Laugh, Love Personalized Garden Flag is another great piece of decor that you can add to your yard.